2018 is almost here. Do you have a plan for growth? Matt Johnson and Renia Carsillo are back for another episode of Grow Live. Today’s discussion focuses on creating a marketing plan for your company based off of SMART goals and strategies. “Set goals around a priority that lines up with your company’s objective,”—Renia Carsillo, Director of Digital Strategy at Safety Marketing Services. Stay tuned to catch even more helpful advice on how to create marketing strategies for your company. And keep on the lookout for special guests. Safety Marketing Services is looking for industry rockstars to join us on the show! Who knows, maybe it will be you! All right. Welcome everybody. I'm Renia, and Matt and we're back with you for episode 14 of, Grow Live. Can you believe it's 14 already? 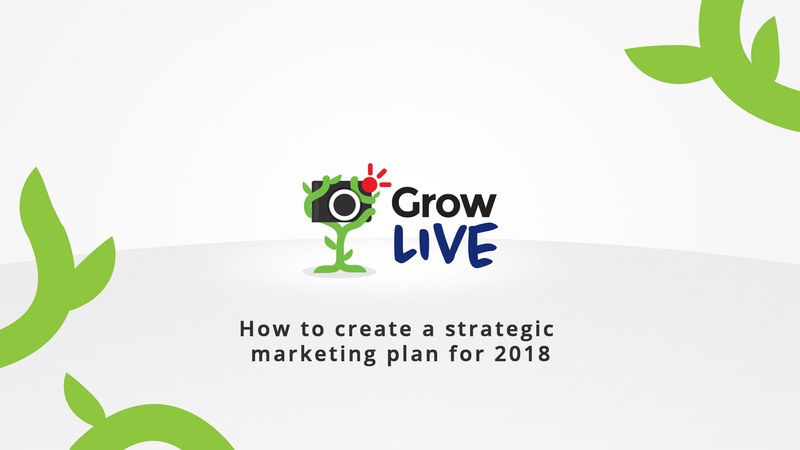 We are going to talk today about how to create your strategic marketing plan, for 2018. If you've been with us for the last several weeks, we've been talking a lot about strategic planning, and how to develop processes, and things like that. You can go back and review that material. I'm sure we will reference it a lot. You can find it on our website at growwithsms.com, or on our podcast, if you'd rather listen, then watch us. I'd rather listen than watch, so I totally get it, at letsgrowpodcast.com, or you can watch this back on YouTube. I'm sure we're gonna make a lot of references back today. Uh oh. Look at this. Technical errors. See. You guys got to see Brandon. Welcome Brandon. Thanks for jumping in the show there, and fixing our mics, so that we can hear, so you can hear us on the podcast later, because, like Renia said, everybody agrees I have a face for radio. Glad to have you guys here. I'm pumped about talking about this. This is the time of year that we look to optimize our business, and build out strategies, and marketing plans, all of that real nerdy stuff. Glad to have that conversation today Renia. Every time we say the word, strategy, Matt says nerd. I think he's trying to tell me something. No. It's good. It's important. Yeah. I did joke around about it, because I think a lot of people, myself included. If you're more on the sale bent side, you're kind of like, "Let's just go out there and do it. Let's go get in front of our customers. Let's bring in the revenue, and let's just get stuff out the back door, and everybody will be happy." It's not that simple, is it? There really is a need for strategic planning, and having goals to reach for. I think that's what we're gonna talk about today. Yeah. It's actually something in my pre-SMS life, that I actually did a lot of training, to learn how to help people go through strategic planning, cause it isn't easy. It's not something that we just intuitively know, right? That's right. It's definitely something that I picked up from my time at [inaudible 00:02:55], and you know, good companies do this, really the best ones do it. They stick to it. I was fortunate enough to be around some good executives over on that side of the family business, and they did a great job of doing this every year, getting together, doing strategic planning, putting out goals for the year to come. And then, really focusing on those goals. Not gonna say we hit every single one we've ever set out to hit, but we were, at least thinking about them throughout the year. They did influence the way that we did business. Funny little fact is that ... Oops. Almost dropped my phone. Funny fact is that, we brought Renia on ... Boy, it's been ... How long has it been? Seven months? Six months? Seven months? It was early in January of 2017. We brought Renia on to do strategic planning. We were running a little bit late. Typically, I would never do strategic planning for the year in January, but we had a crazy end of the year. We wanted to get it done. We brought her in, because she was somebody who was local, who understood our business, and could come in and offer some insight. She was so impressive at doing this, that I actually asked her to join the team. You're in good hands today, as we talk about strategic planning with Renia. I would recommend anybody to go through her process. It's really effective, and it's helped us a great deal this year. Yeah. I guess that's a great point for us to start out with. If you have the ability, we highly recommend that you bring in some outside help for strategic planning. You bring someone who's not a stakeholder in your business, into to facilitate it. It's really difficult. It's kind of like a marriage. It's really hard to counsel yourself in a marriage, right? It's really difficult to facilitate those difficult conversations. Internally, you need someone outside to do that. Even if you're a marketing department in a bigger company, bring someone in from a different department to facilitate, if you can't hire in from outside. That's gonna give you a different perspective, and somebody with less stakes in that game. It's hard to walk yourself through this process. I'm gonna attempt to not be super judgmental. Right. Right. But we are doing some strategic planning with some of our better clients, who work with us here on a retainer basis. I'm excited about that. Looking forward to sitting down with some of our good friends, and you know, building those relationships, coming away with actionable items, and a real solid game plan heading into 2018, to help you achieve your marketing goals. We'll be doing that for the month of November. Our schedule's pretty booked. Yeah. It is. That's probably a great thing to recommend, if you're working with an agency, or a sales enablement company, or you have a business consultant already in place, as a lot of companies do. You definitely want to get their feedback in your strategic planning. There's actually two pieces of strategic planning. There's of course, the overall company plan, that's going to include a lot of areas, besides marketing. We really want to talk to you today, about the strategic marketing plan, how you take what your CEO, or your sales managers, want to achieve, and turn them into tactile marketing goals for the year. Cool? Sounds like a plan. Let's do it. All right. We've talked a little bit about why you should have one of these. Right? We've talked a lot about it actually in past episodes. How do you get there? How do you get from like, "Gee. It would be nice to do this," to something that you can actually use? Yeah, so I have my notes here, so you know I'm not gonna fail you on this one. The first thing that we look to, when we're developing our marketing plan, is a clear understanding of what the overall business objectives are. This really comes out of, you know, corporate strategic planning. If your company has a leadership team, executive committee, a board even, this would be up to them. Typically, this is lays on their laps in terms of responsibility in creating an overarching corporate vision and goals and objectives for the year to come. There should be a clear idea of revenue goals, as well as other business objectives might relating ... It can relate to other areas of the business too. It doesn't have to just be revenue, or sales and marketing. Could be, "You know, we want a PR plan. We want an HR development. We want a staff development plan, training." There's lots of different areas that come out of the strategic planning for the company’s overall vision. We have to start there, because the marketing team takes their marching order straight from the company's overall vision. It has to begin with the company's strategic plan for the year. Yeah. I actually think that's where a lot of disconnects actually start, is every department goes, especially in a larger company, where every department will go out and do some sort of plan, where at least come up with some ideas, but they maybe don't take the time to make sure everything works together. Right? It's actually a major pain point for a lot of people, who work in marketing teams for larger companies, is that when the overall company doesn't have a clear vision, and that's not communicated to you as a marketing manager. You're kind of left to build your own vision, and you're not sure if that's ultimately going to align with the company's goals for the year. I've seen this a lot. It's kind of like, situation where leadership kind of say, "Okay. Marketing manager, you need to come and present a marketing plan for the year with a propose budget." You're kind of left to work in a silo at that point, where you don't have all of the details about what the businesses objectives are for the year. And so, your strategic plan may or may not be the right fit. And so, it can be very frustrating in that regard. Yeah. I think this is an opportunity to, if you're feeling that pain, to manage up a little bit, and make yourself really look like a go-getter. If you are waiting for your leadership team, whether it's your CEO, of whether it's a team of executives, to hand you down as the head of marketing, or the marketing manager, what the plan is, you might miss out on that opportunity. They're gonna come at you, to get your plan, before you've heard that, versus right now is a really good time. Most companies that do any type of strategic planning, they've even just had it, or they're about to have it in the next couple of weeks. It's a really good time to go and say, "Can you let me know what these are? What are our strategic objectives, because I'm planning out our marketing plan for the new year." That makes you look like a super star. Right? Rather than waiting for the CEO to come to you and ask you for it, you're already thinking about it. Does make you look good. I will be honest. Somebody came to be and said, "Hey boss. What's the game plan for the year?" If I didn't have an answer for that, that would be a super convicting moment for me, because I think my job as the CEO, or visionary of this business, is to make sure that plan is in place. I mean, that's the most important thing that I can do, to run my business. Yeah. It's really important to ... If you don't have that, to kind of press into leadership a little bit, and ask some hard questions, because ultimately, that's what you need to be able to do your job better. Yeah. And from that strategic vision, is where you can start to break down your own plan, right? That's where we can start to do the next step, which is say, "Okay, what are the marketing priorities based on what the company wants to achieve?" Right? Can you talk to us a little bit Matt, about how that might differ, based on different company priorities? Sure. Obviously, if you're starting with, for example a revenue goal ... That's typically where your marketing strategy's gonna start, is that you're gonna have this idea of growth that you need to hit for the year. What the marketing team should think about, is, how am I going to achieve that growth? Through what verticals am I gonna focus on, and through which methods am I going to employ to reach those goals? You know, for example, if you said ... If your boss came to you and said, "We need to grow 10% this year." It would probably start with some digging around and looking at your revenue, and of course, looking at each segmented area of your business. Looking at those vertical markets and seeing, which one of those have opportunities to grow? Which ones do I think might go flat for the year? Which areas might actually decline, based on current economic conditions and, which areas are opportunities for us to achieve some growth? I think that's the place I would start, is I would look at my customer base, and say to myself, "Which of these customers can I repeat?" In other words, as a marketer, how can I go out and find more customers like that? On the flip side of that, sort of the farming side, you know, what customers do we have now, we have a lot of opportunity to grow the business with, in the year to come? And then, so, identifying those, sort of verticals, or ideals customer profiles for the year is an important place to start. And then you can start breaking it down smaller from there. Does that make sense? Yeah. Absolutely. I think that this is an area, where we start to look at, what levers are we pulling to achieve what results for what timeframe? When you think about those marketing priorities, you might have some longer term priorities that you may start in January, that won't start to yield a lot of fruit until November or December. For instance, if you start working on SEO, and you're not anywhere on the map in January, you need to expect that those won't start paying off for most people, until November/December. You're gonna need something else to hit that 10%, besides just the SEO. You've got to have a lever that's gonna happen faster, right? That'll help you to identify what those priorities for the year should be, some shorter term, and some longer term, right? Yeah. Exactly. Also, say you know, something like a plan, or if one of the business objectives is to ... A lot of people say this, right? "We've got ..." This will come straight out of your executive meeting. When they had their strategy meeting, there's usually a marketing head there at the meeting. There's always sales people there. The whole team will usually come away with something like this, "We have got to fix our website. We have got to redesign our website, and we have got to turn our website into a revenue generator." They hear these stories or all of their competitors, their peers that are out there, that are doing really well in that channel. And so they say, "Well, we gotta jump in, both feet into this area as well." They don't realize that their peers, or their competitors have been doing this for several years now. It's important as the marketing manager, to be realistic, when you're setting your marketing goals for the year as well. Like you just said Renia, it's not gonna happen overnight. If you're just now, starting to write content ... If, you're just now starting to optimize your website ... Those things take a while to see the fruit from them. It's important to communicate that to your leadership team, cause I guarantee you, they have no idea what's required in ranking for the first page of Google. They just think, well, let's rebuild the website, and we'll do it magically. Doesn't quite work out like that, does it? No, but I really wish it did. The other thing that you will learn setting those marketing priorities is, where budget needs to fall for different piece of the year. For instance, you know, if you're gonna do a huge booth at [inaudible 00:16:19], you need to put a lot of your ... For many of you, a lot of your budget is gonna go towards that booth, which means you have to back out the rest of your priorities, and you better be planning a lot of marketing around that. Right? 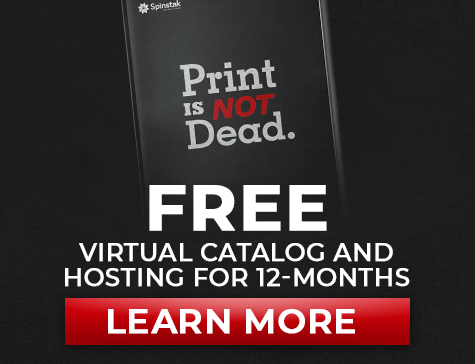 Believe it or not, January, is when most people start prepping for the first round of trade show [crosstalk 00:16:42] season, which is March/April. And then the second round comes more, you know, September/October. If you're gonna be presenting there, what do you need to put in place, in terms of strategy around those events? It's not just about the booth, right, or about who's working the booth while you're there. It's everything leading up to and afterwards that makes the difference. Determining what times of the year you're gonna spend budget is also gonna help you back out those priorities. And then all the little rocks in, because a lot of things that may be nice to have, like, you may want to invest in social media. You may want to invest in, maybe some traditional ad space. Those things may not ultimately be the thing that moves the needle for you, in terms of reaching your goals for the year. It's important to identify what are the biggest thing? What are the biggest rocks that I can put in first, and make sure that I have those budgeted and start building a plan and calendar around those. Yeah. The word is actually from Latin, and it's priority. It is a singular word. It's [crosstalk 00:18:20] one prior ... One. You get one. Right? As soon as we pluralize it, it becomes less powerful. We wanna be careful ... The other thing I'll see a lot of company's do, is they come out with a whole page that's a list of like, 35 marketing priorities for the year. What happens then? I would think that ... Unfortunately I've been trained to never put that many rocks out there, but yeah, but certainly the risk is that you don't end up getting any done, because you're not focused on one at a time. If you're gonna do 10 trade shows, and you know, 15 mail campaigns, and in inbound campaign, and a PPC campaign, and an SEO campaign, and a ... You better have a marketing team of 10 people, possibly more, and a half a million dollar budget. If you don't have those things, you have to start to scale back, and choose, which are the things that are gonna move the needle the most for us? It's choosing between good option, because there are a number of good choices here. It's not saying, which ones are bad. It's saying, which ones are gonna move the needle the most for us? Right? Can I give you a number range that I like to sit in for those priorities? We talked last week about how I really liked working in 12 weeks sprints, or 90 day epics, right? If you've got four of those in the year, about four priorities is about right. We say, you can stay in the three to five range of things you want to tackle, you probably are in pretty good shape. Does that sound good to you? I like it being simple. I found ... Just my experiences, that keeping our focus simple, gives us more sticking power, if that makes sense. The idea is that, if we're really scattered ... If have a whole bunch of market segments that we're focusing on, at a time, and we have a bunch of activities that go along with those market segments, we can become very scatter brained, sort of like squirrel syndrome. Every time I see a squirrel, it's like I go chasing it. I like to focus on one vertical at a time. It's how we do our marketing campaigns for our clients. For example, if you're dealing with contractors in a construction market right now, focus on one vertical for a quarter. Do all that you can to move the needle in that vertical. And then, when the quarters over, switch up and go to your next priority. And then, kind of repeat the cycle. That way you're always focused on one area at a time, which is much easier for us to get our minds around. Yeah. Absolutely. I love that. And so, if you think of it, like, you've taken your business objectives that have been given to you, by the powers that be for your company, and you've set some marketing priorities around that, like three to five. You get one per quarter, and you're going after one ... Think of it like, maybe one campaign per quarter. That's how we think about it. Then you can take that and from those three to five priorities, set a goal for each one. Right? This is the thing we wanna achieve. When you're looking to set that goal around your priorities, that are gonna feed back into your objectives, how do you know what to set that goal at, or how to set it? Is it a revenue goal? Is it a production goal? How do you know? Started down this rabbit trail. Let's go through the whole smart acronym. You wanna make sure that their attainable. That means that you're choosing goals that are realistic, or that are achievable. One thing that you would not want to do, is kind of what you said earlier is like, say to yourself, "All right. We're gonna rank on number one for this key word by the end of the year," and you've never once produced any content in that category before, but you think that you're gonna do that. That's not an attainable goal. Not unless you have a really big budget. Right. Yeah, so, then ... You wanna help me out with the last two? Yeah. I don't want you to think of attainable as a reach. It's a little bit of a reach. It's maybe even a lot of a reach, but you can reach for it. You know, if I am trying to dunk the basketball, that's never gonna happen. Right? We gotta be attainable. And then, results oriented, meaning the goal is going to move the needle. It's gonna produce a result that's important to your company, and time bound, which you know when you've achieved it. That is a hard line for some people, because it means you might not hit it, right? Yeah. Oh, that reminds me of one thing. I would say ... I kind of learned this last year, but if you get into this, where you are building out multiple goals for the year ... Do me a favor. Do not create the due date to be 12/31/2018, or whatever year you're listening to this as. That sets you up for a horrible last quarter of the year, where you're gonna scrambling, because if the due date is out there in December, you know you're not gonna be touching it in April. You're gonna be busy with your trade show. You're gonna be busy with your website. Yeah. Make sure you spread your goals out for the year, so that you're not scrambling, like we are right now. We're kind of scrambling. We're trying to hit all of our goals at the end. That's something I learned this past year. Yeah. It's really a good idea to stagger them out. That's one of the reasons why I like that concept of the 90 day epic so much. Ideally, if you can stagger them, so you're achieving one of your goals each quarter ... I think what happens to a lot of people, is, they set their goals specifically around revenue, or around big projects, and never really break them down to what the smaller pieces might mean. That'll help you get there. If you are setting goals that are for the end of the year, like you know it's gonna take all year to get there, you wanna break that down to smaller smart goals, so you're benchmarking yourself, working towards them. And then you don't have that hard sprint at the end. Maybe we wanna have, you know, 25% of this done by the end of first quarter, and another 25% halfway through. Yeah. Once you have those goals, that's where you can really start to dig into what the strategy is, right? How do we ... You know, we've talked a lot about being flexible, and changing, and stuff like that. What really is the point in laying out a strategy for the year? Do we even need to do that? You really do need to have something written down. This is where my nerdy side comes in. I love to visually communicate my strategy. Usually that might look like a one page sheet, with some graphics on it, some charts, you know, designed, so that I can pull this out at every marketing meeting. I can pull out our strategy document, take a look at it, and understand what I have to do to hit those goals. Something like that is really important to constantly come back in alignment with the goals. You know, you're gonna get off track. You're gonna get in the weeds. You're follow some squirrels out there, but always making sure that everything's written down. And then coming back to that on a regular basis is very important to achieving those goals that you said were so important, before the year began. If they were important enough to list out, they're important enough to keep on coming back to, and communicating with your team. That's why I think the strategy is so important is that, it's about communication, and alignment with your team, and with the sales team as well. That's a whole nother show. Yeah. I mean, I think that's an important point. Do you notice how Matt said like it's something he could pull out in a meeting with one page? If your plan is simple enough to be actionable, it will fit on one page. Now, there may be details behind the scenes, but if it's anymore than one page, it's probably not simple enough, and it needs to be broken down even farther. In fact, that's one of the things that's coming out of all our meetings with our clients, is they'll have their one page marketing plan for the year. Right? The last thing that we wanna address as we're wrapping up here is, what happens ... I like that quote, "Plan for the best, but prepare for the worst." Right, or something like that. What happens with things that go wrong? How do we set up to not derail the whole year, if something goes wrong? Yeah, well, I mean, remember that a strategy or a plan is ultimately your best guess at what you'd like to do for the year. It should not be written in stone. This is a piece of paper that we can go back and edit as we go along. In fact, it's okay if, you know, something happens, where we need to pivot, and we need to take a different direction. We talk a lot about having s'marketing meetings. Getting together with your sales team, making sure that you're still in alignment with the vision that you laid out. I'm sure that you were all great in the beginning, or even at the end of the year. It's the holidays. We're optimistic. Everything's exciting. You know, when it gets to the middle of the year, and you're actually executing your plan, it's important to come back to each other and say, "Is this still a priority? If not, let's talk about pivoting and making a change that will be a better impact to the company." I think that's a great point, cause that's actually, probably the number one mistake I've seen company's make with strategic planning, or strategic marketing planning, is that they go away together for two or three days once a year. That's it. Really, if you want these to work really well, you should be looking at, probably two or three days for your planning as a whole company once a year, and then a day or two mid year, and then a couple hour check-in, at least quarterly, even better, monthly. It seems like [crosstalk 00:31:13] a lot of time, but it's that sharpening of the axe, that makes sure you're still going in the right direction. If these high level strategic meetings are being ran the way they should be, they will produce huge dividends for your company, because they make sure that everybody is rowing the boat together. Love it. I would just say that if you are gonna be working on a plan, pat yourself on the back, because not very many companies do this. If, you want to be an average business ... If you want to just, kind of get by and do the status quo, then don't plan. Just keep doing what you're doing. Operate your business based on instinct, based on tradition, and you will continue to just make one to two percent gains. If, you are interested in being a growing business ... That's who we work with, is growing industrial suppliers and manufacturers. We work with companies that are interested in, not just growing a little bit, but being aggressive, and taking market share from competitors, and growing their categories. If you wanna do that, starting with a plan, laying out that plan of action, and then coming back to it, month-after-month, and executing either with your internal team, or with an agency. That is the key to success. I can promise you, we have lots of case studies of companies that, the ones that do it well, they're the ones who grow 10, 15 percent a year. The ones who don't, those are the ones who you hear about, who are just stuck in that two, to three percent growth. Highly recommend strategic planning. We're pretty much booked up for this year. We've met with our clients, but I strongly suggest ... It's sort of my call-to-action today would be, go find, if you haven't already done it. It may be too late. You may have a little bit of time here. Even if you do like we did, and you waited til December, or January, the first of January to put your plan in action, that's better than not having one at all. Go out there. Find somebody outside that does this, who would come in, who could help guide you through the process of putting together a plan for the year to come. I think you'll find that having that plan written down, and then coming back to it as a team, will make all the difference in your growth for the year to come. Yeah. Totally agree. If you guys want to learn more on this subject, I highly recommend ... I know we've recommended it on the show before, but we'll put it in the show notes. There's a book called, The 12 Week Year, that will help you a lot with creating this plan, and creating this vision. That program also has a bunch of consultants that will help you this with, if you need someone to come in and do strategic planning with you. If you're running a little late and you're like, "Oh, we're gonna end up doing it the end of December," do let us know, and we'll help you any way that we can. Next week, we're really excited that we're gonna have our first non-SMS guest. We're actually gonna bring someone in, who does this inside of a company every day, next week. We're really excited about that. We're gonna talk about what it's like to be on the side that we're not normally on. Right? I'm really super pumped about having our guest here, and she'll actually be in the studio. She will be in the studio with us. We're not gonna tell them who it is. Okay. It'll be a surprise. She will be in the studio with us next week. We're really excited to have her. Matt, anything else you want to say? Well, on that note, I am going to be reaching out to a few folks over the next week or two about scheduling time to come on the show. You don't have to come down here to sunny Florida, although we'd love to have you. We can get you on the show virtually. If you are interested in coming on the show and you're an industrial supplier, distributor, especially if you're a marketing manager or director, we would love to talk to you. We'd love for you to share some of your insight to our audience as well. Give us a shout, if that's something you'd be interested in. Look forward to talking about it. Yeah. Very cool. And as always, you can catch us back on, Letsgrowpodcast.com. That's available pretty much anywhere podcasts are found, or find us at, growwithsms.com. Have a great week everybody.